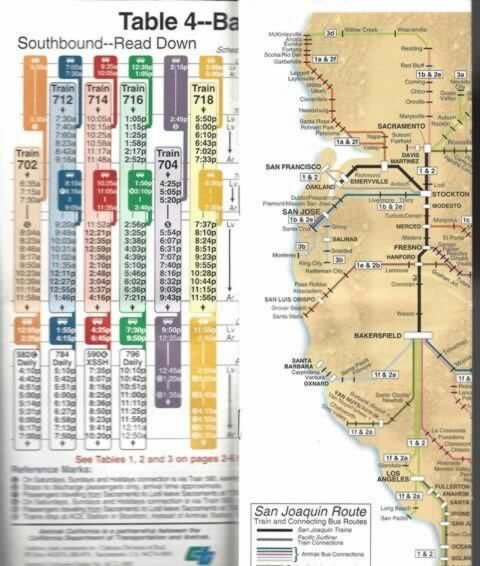 Amtrak California Timetable, Effective October 27 2002. This includes San Francisco Bay Area, Sacramento, Stockton, Fresno, Bakersfied, Southern California Connections. This is a previously ownded leaflet that was published by Amtrak.